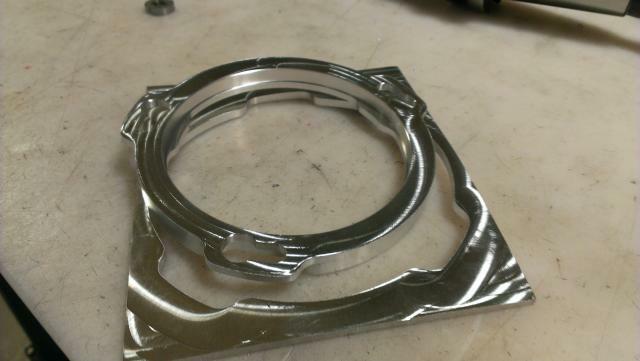 Sometimes your part is so hard to hold, that using tabs or skin is the best, or even the only way of machining something. Very often, working in prototyping, I have to make only one single part and designing and producing special fixturing is also not feasible. Setup: Put or part in vise. Make sure to square off at least two sides contacting the jaws for accurate positioning and minimum distortion. Program part normally. Perform as many operations on the first side as possible. 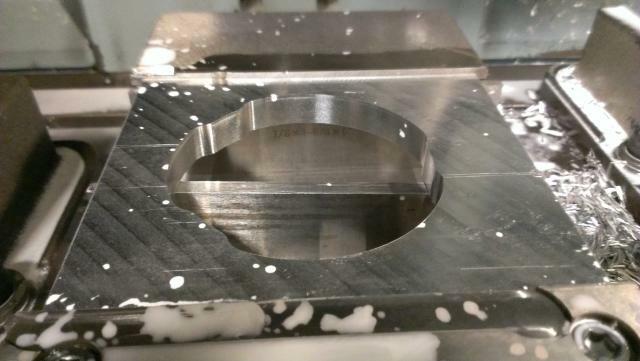 When machining outside profile, machine to the exact depth of your part. 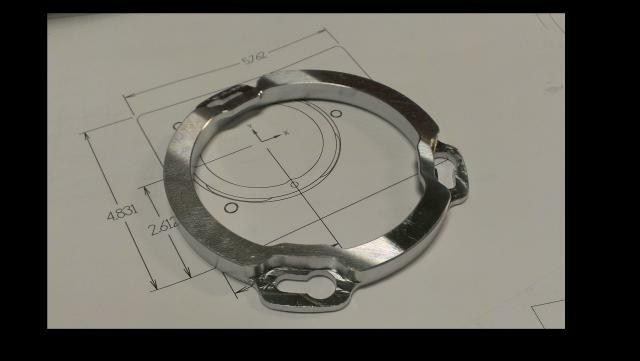 Make sure you finish the outside flanges of your part good if you plan to use them to sit part on parallels, like i do in the next operation! 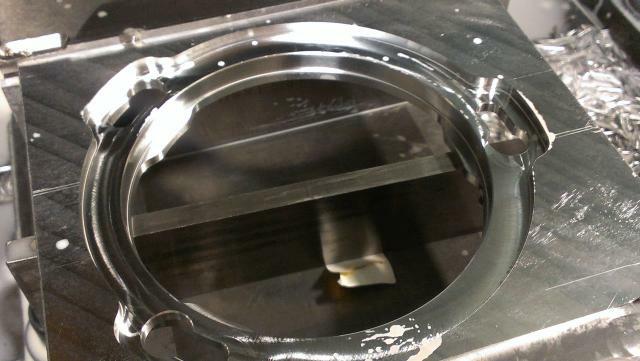 After machining one side we would normally set up a fixture to hold the part from the inside hole, then re-clamp it and machine the inside hole features. This requires quite a lot of planning and also makes you stop mid-operation to re-clamp the part. Never mind having to worry about avoiding clamps and bolts! 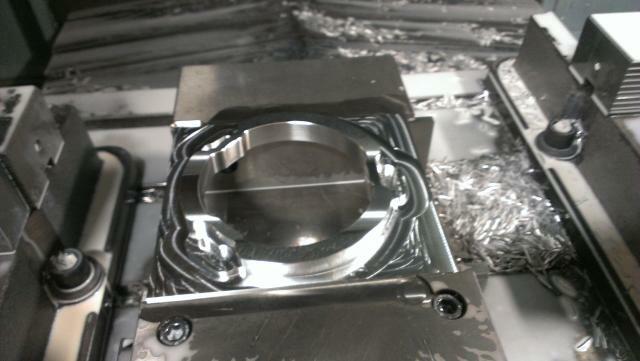 Next i machined as much as possible from the back side while i still had enough meat to hold the part securely. After a few knocks on the scrap flanges, the inside part simply falls off! Only minor deburring is required to remove the sharp edges. Here is the finished part.